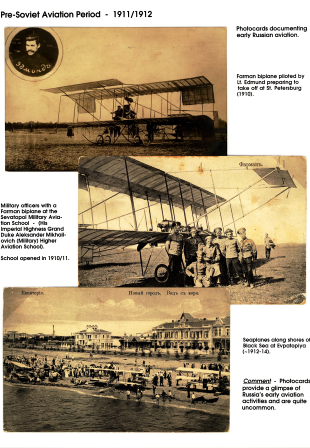 The Soviet air mail covers presented herein provide the viewer with a tour-de-force of the early development of the Soviet civil air mail service (1922 - 1941). Many of the covers are extremely rare especially early flights on a given route and those from the more obscure routes in regions east of the Urals, e.g., Siberia, the Far East, the Far North and North-Central Asia. Nearly two decades of collecting has emphasized the scarcity here and abroad of much of the philatelic material needed to document this period of Soviet aviation and air mail history. The exhibit has won several grand awards and international golds.